Find out how to make the best use of your Manicare Sonic Mini® with our Frequently Asked Questions page. What is the Sonic Mini®? The Sonic Mini® is a rechargeable facial cleansing brush that uses sonic vibration to assist in cleaning impurities from deep within your pores. How do I use the Sonic Mini®? Press the power button once for the low speed gentle mode. Press the power button again for the faster, stronger mode. Press the button a third time to power off the unit. The indicator light will turn on when the device powers on and will flash when the unit needs to be charged. The Sonic Mini® will automatically turn off after being on for 5 minutes. How do I attach and remove the brush head from my Sonic Mini®? The brush head attachment simply clicks in and out of the Sonic Mini®. Grasp the brush attachment directly to pull out. Avoid pulling/pushing it from an angle. What’s the recommended routine for the Sonic Mini®? We recommend cleansing with the Sonic Mini® for one minute twice a day, once in the morning and once at nighttime. When cleansing, apply cleanser directly to moistened skin with lukewarm water or a damp brush head. Move the brush head in circular motions all over the face. After one minute of cleansing, power the Sonic Mini® off, rinse off any residue with water and follow-up with your usual skin care routine. After cleansing, rinse the brush, shake out excess moisture, and place to dry in a ventilated location. Can I use the Sonic Mini® in the shower? Yes. The Sonic Mini is water resistant and suitable for use in the shower. However we strongly suggest keeping the recharging port dry at all times. How do I clean my Sonic Mini®? It is recommended to remove the brush attachment from the device first and then wash the brush attachment every week with warm soapy water. Leave the attachment to dry naturally after washing before using it again. We strongly recommend keeping the recharging port on the device dry at all times. How often should I replace the brush head on my Sonic Mini®? It is recommended to replace the brush head every three months. Replacement brush heads are sold in packs of 2 and 3 separately. How often do I charge my Sonic Mini®? A full charge on the Sonic Mini can last up to 5 hours of usage. When the main unit needs to be charged, the indicator will flash as a reminder. When charging for the first time, or after an extended period of non-use, charge for 1.5-2 hours prior to use. It is recommended to keep the recharge port dry at all times. How do I know when my SonicMini® is done charging? During the charging process, the indicator light will flash intermittently. The indicator light will remain on once the Sonic Mini is fully charged. Does Sonic Mini® use different brush heads? Yes. 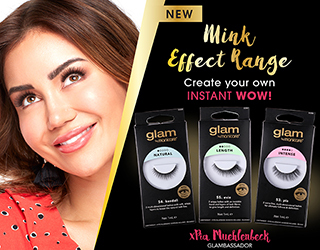 There are three different brush heads that can be used with the Sonic Mini®. The device is sold with one sensitive brush head, which is ideal for daily cleansing. There are also massage and exfoliating brush heads sold separately. How do I return my Sonic Mini® if I have an issue? We give 1 year guarantee against defects from date of sale. To claim, send the product with all contents (device, refill brush head, charger cable & brush cover) and proof of purchase to us at your expense. We will repair, replace or refund (our choice) defective products without further cost. It would also help us if you can return the original box so that we can identify the batch of the product. For purchases made in Australia and New Zealand, send products to McPherson’s Consumer Products Pty Limited at the Australian address shown on the last page of this Manual. The benefits of this Guarantee as to Defects are in additional to other rights and remedies you have under law. What is the Manicare® Sonic Mini® 30 Day Challenge? 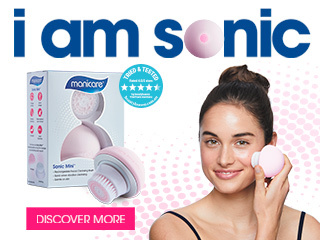 Try any Manicare® Sonic Mini® Facial Cleansing Brush for 30 days from date of purchase. If you are not satisfied with this product, contact us within 45 days of purchase for a refund of the purchase price (postage not included). You must return the product in its original box with all contents (device, refill brush head, charger cable & brush cover), together with the original receipt showing this product was purchased in Australia within the last 45 days.